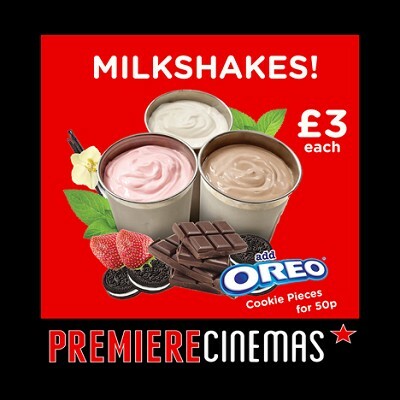 Here at Premiere Cinemas, we constantly push ourselves to provide you with the best cinema experience around and that's not just locally! 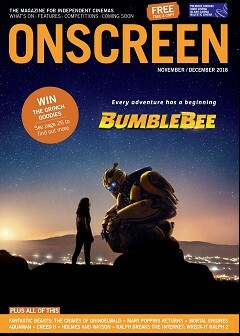 We are quickly becoming known as "the best value in town" - a brand that provides the same (if not better) comfortable seating, 4K and 3D movies, tasty snacks and an all-around positive and professional environment that you have come to expect from the expensive cinema chains but WITHOUT the frightening prices. We realise that even with our incredibly low prices, coming to the cinema as a family can still take its toll. Your kids are off school, they are hounding you about all the major movie releases that are currently showing at our cinema and you can see the prices adding up. 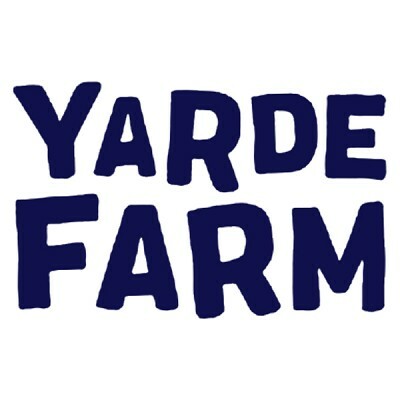 Well, to help alleviate some of that stress, we have introduced our new Family Ticket! 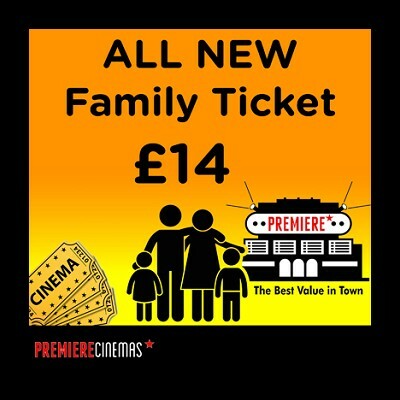 It allows a family of 4 to watch any *U, PG or 12A* rated movie for a discounted price of £14! Suddenly half term doesn't seem that bad. Did we forget to mention that we accept Meerkat Movie codes on a Tuesday and Wednesday all day? 2 tickets for the price of 1 with any valid Meerkat Movie voucher. You could not find a better deal elsewhere. So why not visit us today? All of our screens are fully refurbished with brand new seating and heatwave-defying air conditioning. Our staff are ready and willing to ensure you have the perfect viewing experience. The milkshakes are chilling, the popcorn is all warmed up for you and the Tango Ice Blasts are frozen to perfection.